Conditioning is the result of the three variables moisture, temperature and time. 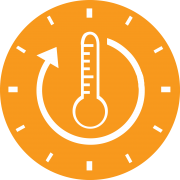 As moisture and temperature are related, time is the ultimate variable to enhance the process. Time can be gained with the application of a Long Term Conditioner (LTC). The LTC, consisting of a steam mixer, automatic steam quantity control and a Long Term Vessel (LTV), significantly improves the process of feed conditioning. This has a major effect on biosecurity, optimizing the nutritional quality of the feed and enhancing the pelletability of the product as well as improving the pellet quality. Optimization of the quality. Increase of the nutritional value. Influencing the physical features and improving hygiene. Just some of the added values, which are made possible by the mixer’s intensive mixing process and by adding a choice of heat, moisture and/or pressure, during a certain period of time. The Hot Start Steam Mixer helps to optimize the feed conditioning process and feed safety while minimizing spoilage. With the Hot Start Steam Mixer a guaranteed and accurate heat treatment is ensured. All the product exiting the hot-start steam mixer has reached the set temperature within ± 3°C tolerance. The Van Aarsen hot start steam mixer comes with uniquely short start-up time. Safe feed forms the basis for safe food. The hot start steam mixer helps to optimize the production of safe feed by preventing contamination of further processes by untreated product. Some of the ingredients in feed pellets are also suitable as ingredients for food for human consumption. Therefore also from a sustainable perspective it has become ever more important to make sure spoilage of raw materials is minimized. The hot start steam mixer helps feed millers to ensure the desired feed quality while maximizing capacity as a result of the uniquely short batch start-up time, thus keeping feed costs low. Conditioning time can be gained with the application of a Long Term Vessel (LTV). 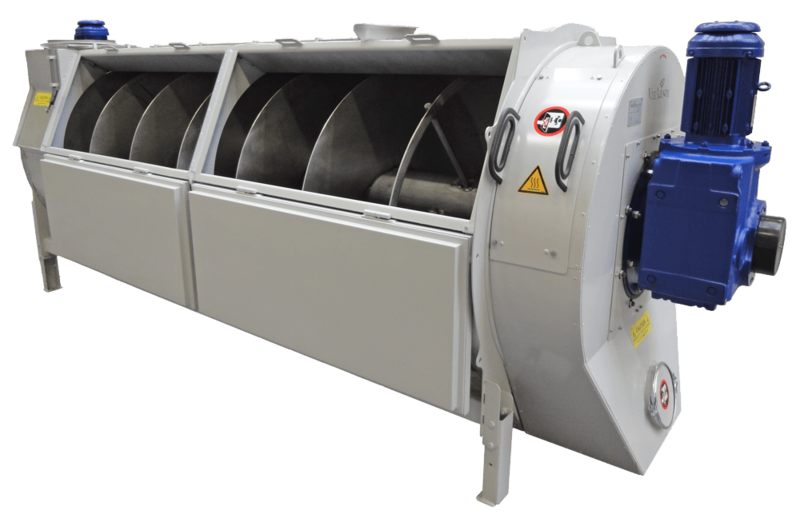 The LTV, placed after the steam mixer, significantly improves the process of feed conditioning. The Long Term Conditioner (LTC), consisting of a steam mixer, automatic steam quantity control and a Long Term Vessel (LTV) significantly improves the process of feed conditioning. This has a major effect on biosecurity, optimizing the nutritional quality of the feed and enhancing the pelletability of the product as well as improving the pellet quality. High steam quality is of great importance for quality feed production. Steam quality directly affects the quality of the conditioning process. Van Aarsen steam systems ensure high steam quality, accurate dosing and worry-free performance. 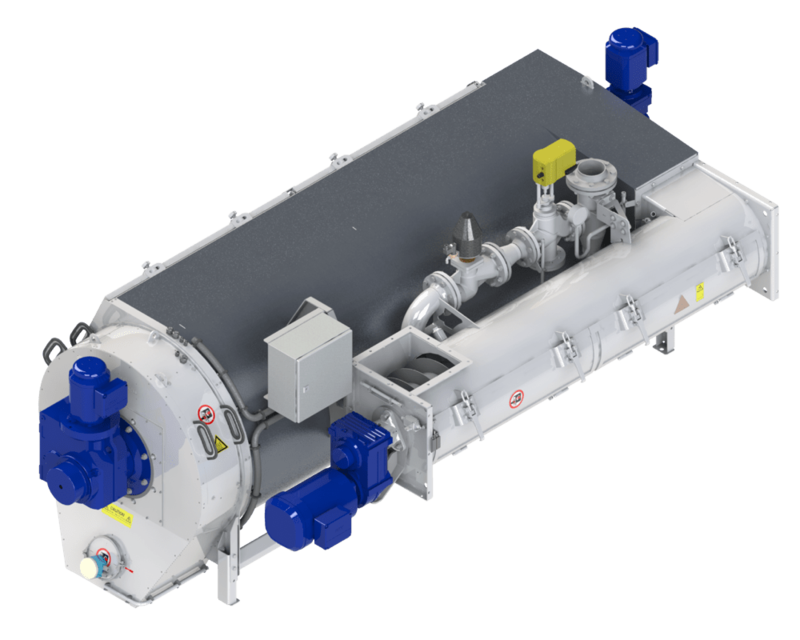 The Van Aarsen steam reducing group is designed to create the right quality of dry, saturated steam. This steam is free from condensate, which helps to control the temperature and the amount of moisture in the conditioner. This ensures a consistent product quality. The removal of excess condensate also ensures a long lifetime of all the components in the steam system by eliminating the risk of water hammer. The steam quantity control group controls the amount of steam that is added to the conditioner. Steam quantity is based on the temperature of the feed exiting the steam mixer and the required temperature which is specified. The Van Aarsen steam quantity control group comes with all the necessary components to ensure a trouble-free operation and removal of condensate. It accurately manages the output of steam and prevents possible damage to the nutritional value of feed components.